Police have charged a 27-year-old woman with causing death by dangerous driving over the death of a boy in Bristol. Officers had been trying to trace Hannah Saaf, the registered owner of the car allegedly involved. 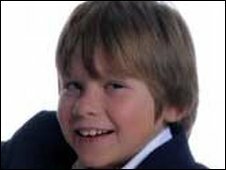 Sam Riddall, aged 11, was killed as he walked along a pavement with three other children after leaving a youth club in Westbury-on-Trym on 1 May. On Sunday Avon and Somerset police confirmed a woman had been arrested at Pensford near Bristol. A police spokesman said the Bristol woman had been charged with causing death by dangerous driving and failing to stop and report an accident. She was also charged with driving otherwise than in accordance with her licence and driving without insurance. Ms Saaf is due to appear before Bristol Magistrates' Court on Tuesday morning.